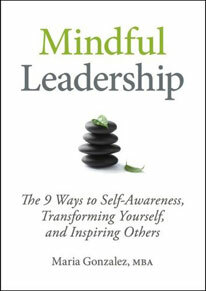 Maria Gonzalez, author of Mindful Leadership, explains how to practice mindfullness during your daily commute. Maria Gonzalez, author of Mindful Leadership, explains how to train yourself to recognize "your physiological signs of stress". Maria Gonzalez, author of Mindful Leadership, explains how to minimize stress – not just manage it. Contains a brief guided breathing exercise.